Putting pictures to music through words. 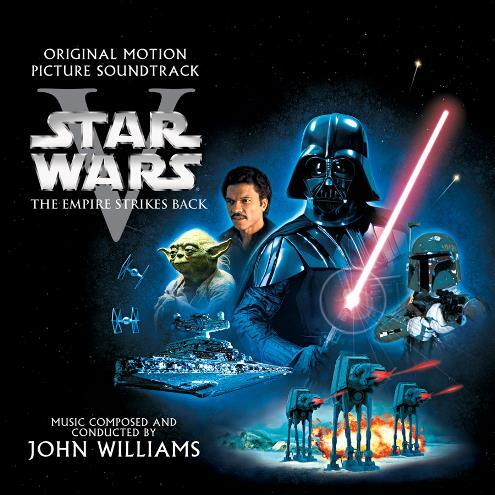 John Williams' success with "Star Wars" (later renamed "Episode IV: A New Hope") was profound and had a huge impact on film scores to follow. 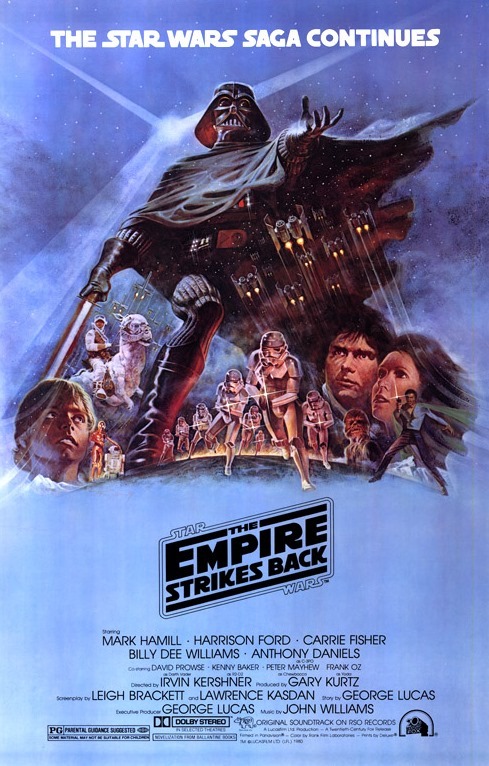 He scored the sequel (Star Wars Episode V: The Empire Strikes Back") by reusing some of the key themes from the first film, and adding many new, somewhat more mature-sounding themes and motifs. 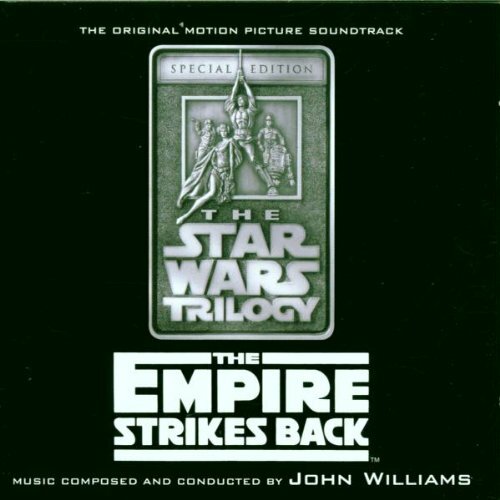 Like the recording for "Star Wars", this score was also orchestrated by Herbert Spencer, conducted by Williams himself, and performed by the London Symphony Orchestra, this time over 18 sessions (instead of 8), spread over December 1979 and January 1980. 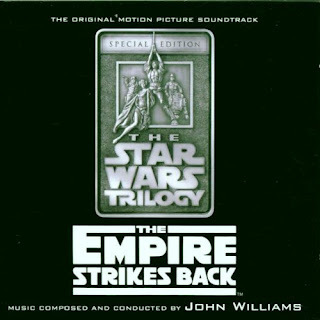 The music for "The Empire Strikes Back" has been released in several forms, with the most complete being the Special Edition double CD released in 1997 (also re-packaged in 2004 and just recently in a digital collection, but both without the excellent liner notes). The initial version of this score was a double LP, in which Williams re-combined and re-sequenced cues to create a "listening experience". The 1997 Special Edition is basically in film order (with some concert arrangements placed at the beginning of Disc 2), and this is what I'll be describing below. The most important themes introduced in Episode V are Han and Leia's Love theme, the Darth Vader theme (ie - the Imperial March), and Yoda's 2 themes. 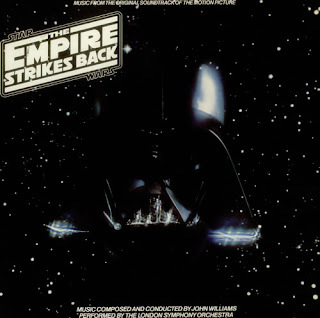 Vader and Yoda each have concert arrangements of their themes at the beginning of CD 2 (though the Vader concert arrangement was also used in the film itself as an excerpt). Overall this score has some truly breath-taking action sequences as well as some of Williams' best thematic material. 2:06: Yoda lifts the ship using the Force (mystical tones, Yoda theme develops, becoming romantic with triumphant brass accents) - "I don't believe it." "That is why you fail." Another highly useful resource is Doug Adams' article "Sounds of the Empire" on the themes of Star Wars in Film Score Monthly Vol 4, No 5 (June 1999). Text Copyright Ed Chang. Awesome Inc. theme. Theme images by i-bob. Powered by Blogger.